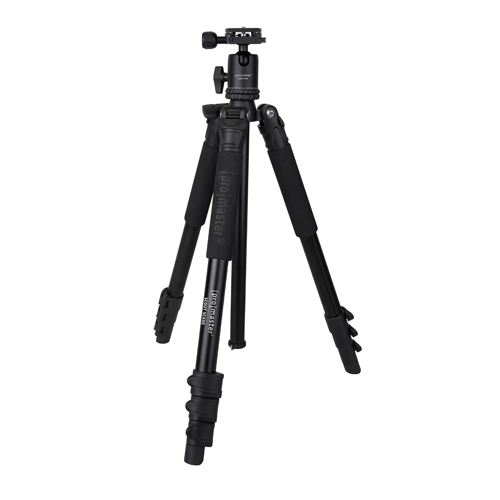 The PROMASTER SCOUT TRIPOD has features carefully chosen and designed for the active photographer. Its 4-section legs can be independently spread and adjusted at multiple angles and heights so you can level your camera on uneven ground. The center column has a retractable weight hook so you can add stability, especially in windy situations.